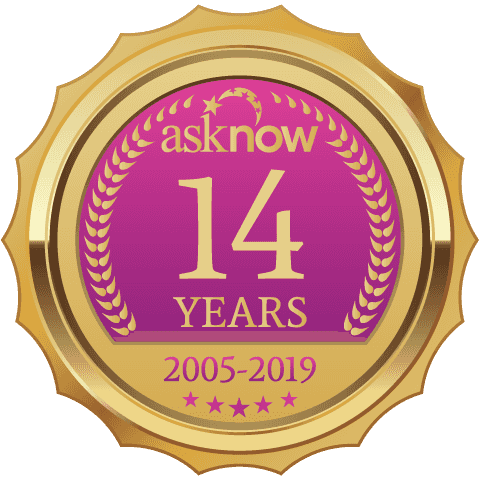 AskNow.com | Articles | Astrology & Numerology | Love Is In The Numbers? Love Is In The Numbers? The ancient study of numerology gives us insight into our own life paths—and also how our paths intersect with others. 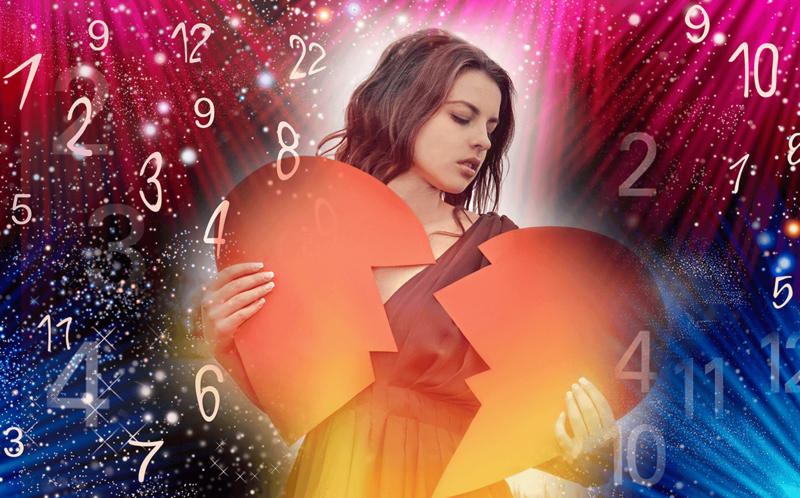 If you are finding yourself in a bit of a relationship slump, or in the throes of a new infatuation, considering how your life path number connects with your significant others’ might reveal necessary truths about your relationship. Below you will find the nine life path numbers and their highest and lowest compatible life path number partners so you can evaluate how to move forward in your courtship. Still have not calculated your life path number? No worries, below is a quick and easy guide to revealing your number. 2) Combine the month, day, and year by adding them together and reducing until it is a single digit number. 3) Add the resulting single digit numbers together and reduce to single digit if necessary to get your life path number. Example: 9 + 3 + 9 = 21; 2 +1 = 3. This birthdate has a life path 3. Life Path Number 1: Those with life path 1 know what they want. They are adventurous, strong-willed, and independent. However, they are also stubborn, demanding, and lose interest quickly. For a good love match, life path numbers 2 and 6 work nicely because they would be patient with your wavering sense of direction. Life path 8 is a challenging match because they too can be quite stubborn and also a little selfish when it comes to their own goals. Life Path Number 2: Life path 2’s are charming, thoughtful, and amusing. Easy-going and kind-hearted, they are a fun partner as long as they don’t feel under-appreciated. Being so easy-going sometimes leads to problems, and life path 2’s can be oversensitive, anxious, and easily deceived. A fellow life path 2 or a 6 would be a great match because they would be empathetic to each other’s needs and emotions. A life path 3 or 5 would be a hard match because they can be too shallow to be as sensitive as a 2 requires. Life Path Number 3: Life path number 3’s are creative, friendly, and genuinely optimistic people. Very social and always on-the-go, it can be hard to find a match that has enough energy to coexist alongside them. Their outgoing nature makes them a tad bit superficial and irresponsible. Life paths 1 or 5 would be up for the challenge of holding their interest. However, a life path 7 will bore them and create a messy break-up. Life Path Number 4: Those with a life path 4 are highly dependable, reliable, and the right person to ask to complete a task well and on time. Their nature, however, makes them hyper-critical and uncooperative at times. Life paths 2 and 8 would offer life path 4 a sympathetic shoulder to lean on, and also share a hardworking attitude. Life path 5’s are too unreliable and frivolous for an honorable 4. Life Path Number 5: Life path number 5’s are some of the most fun-loving, expressive, and outgoing of the bunch. On the other hand, they can be quite flighty and overly-dramatic. For a good match, a life path number 1 or 7 would work with a 5’s creativity and restless spirit, while a life path number 8 would be far too controlling and stifling for their exuberant energy. Life Path Number 6: Individuals with a life path 6 are the mothers of the group: nurturing, caring, and understanding, they will always be there for those that they love. On the negative end, 6’s can exhaust themselves trying to please others, and they can also be self-righteous. Life path 2 or a fellow 6 would complement nicely, cultivating mutual respect and aid. A life path 7 would be a difficult match because they are too detached for a nurturing 6. Life Path Number 7: They are independent, quirky, and quick-witted. Life path 7’s, though, can be quite indifferent, impatient, and even a bit listless. For a successful match, a fellow 7 or a 5 would understand and match a 7’s high standards and expectations when it comes to their discoveries and growth. A 7 should avoid an 8, however, because an 8 would be far too restricting and possessive for the 7 to grow into the person they are destined to be. Life Path Number 8: Talk about hardworking! Life path 8’s are some of the most hardworking individuals with an unwavering sense of dedication and grand vision. With an uncanny ability to manifest their dreams, a life path 8 is also narrow-minded, stubborn, and quite the workaholic. A life path 2 would do an excellent job of supporting your efforts, and a 4 would work just as hard alongside you. Life path 8’s should avoid 1’s because they are both too headstrong to see each other’s point of view. Life Path Number 9: Life path 9’s are humanitarian to their core. Sophisticated, giving, and idealistic, 9’s will always see and cultivate the good in those around them. On the reverse, life path 9’s form strong opinions, can be self-centered, and also a little demanding of the people closest to them. A life path 6’s nurturing nature will complement 9’s needs thoroughly, and another 9 will inherently understand their plight in life. A 9 should beware of a 2,4 and 5. A life path 2 and 4 will be too caught up in their work, while a 5 will seem far too reckless. Get your calculators out and start punching the numbers! It could mean the difference between sticking it out for the long haul or breaking things off in search of the “one”!